The Monarch butterfly served as a powerful and emotional symbol on Sunday afternoon for the hundreds of family members gathered for Hospice & Palliative Care of Iredell County’s 13th Annual Butterfly Release. “Monarch butterflies have long been symbolic of change and new beginnings — today you are here in celebration of life and in memory of loved ones,” HPCIC President and CEO Terri Phillips said. 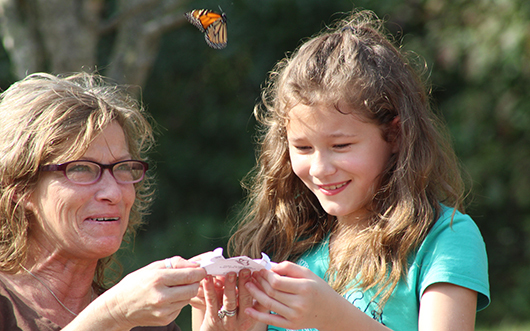 Nearly 400 butterflies were released during the ceremony, which included a chance for families to reflect on the memory of their loved ones. Sunday’s ceremony also marked the 13th anniversary of the Gordon Hospice House, Iredell County’s only in-patient hospice unit.